This was a compelling view into a messed up family, who struggled to want anything different than the darkness they were used to. Allegra and Lane are two cousins who support each other as teenagers one summer while living in their families estate in Kansas. Lane moves in with her family after her mother's suicide. But her mother was completely estranged from her parents and tried to keep Lane away. Allegra is a spoiled teenager who doesn't have to work for anything and refuses to do anything she doesn't want to. Their summer spent together is described in flashbacks after Lane has returned to investigate Allegra's disappearance. The change of perspective helped the story flow well, and kept me reading fast the whole time. "Roanoke girls never last long around here. In the end, we either run or we die." 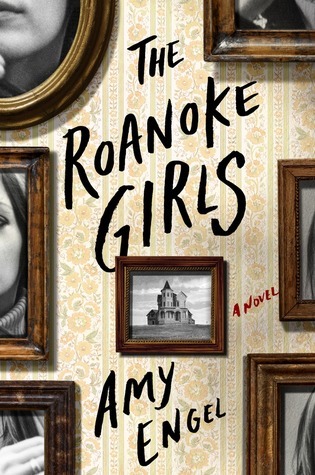 The story explores all kinds of abuse and untreated mental illness within the Roanoke family. All of the characters are struggling to figure out what they want and who they want to be. Although most characters are adults they are still trying to find their own identity. The writing was lyrical without ever being too flowery. The characters were complicated, flawed and the kind of people you want to root for. They inflict pain on others, because they are all dealing with their own emotional wounds they don't know how to heal. "I knew well the painful futility of reaching for more than you were ever likely to get, how much easier it was to simply accept the limits of your world." Far too many families have secrets that only continue to hurt everyone that keep them. I was shocked by how backwards and sinister this isolated rural family could be. The cyclical behavior of the characters made it feel very realistic, and the ending was as satisfying as the whole book. The focus of women who were unrestrained by societal norms described a refreshing kind of freedom. I would recommend this to adult readers who can stomach reading about disturbing topics and characters. I look forward to reading more books by this author. 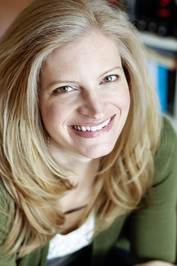 Amy Engel is the author of THE BOOK OF IVY young adult series. A former criminal defense attorney, she lives in Missouri with her family. THE ROANOKE GIRLS, is her first novel for adults.